brings new life to old leather. TRANSFORMING THEM INTO TOTALLY UNIQUE, ONE-OF-A-KIND PIECES OF WEARABLE ART. "WOW is just where I begin when talking about just how much I love my custom painted jacket. 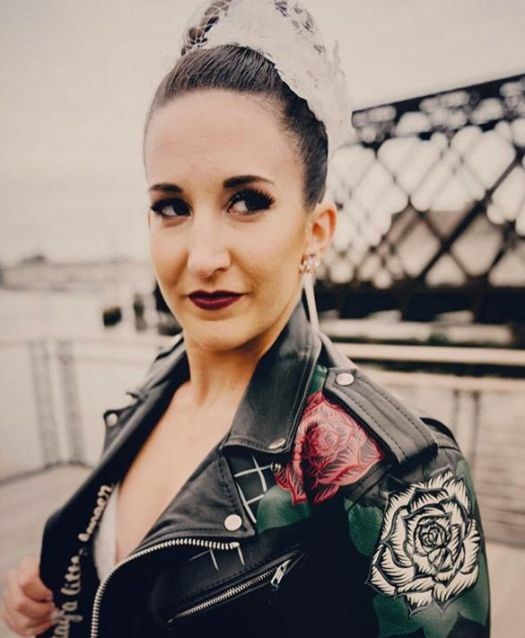 Laurén was so easy to work with and somehow incorporated all of my ideas and dress inspiration into the perfect design on my jacket. I cannot wait to rock this on my wedding day!"